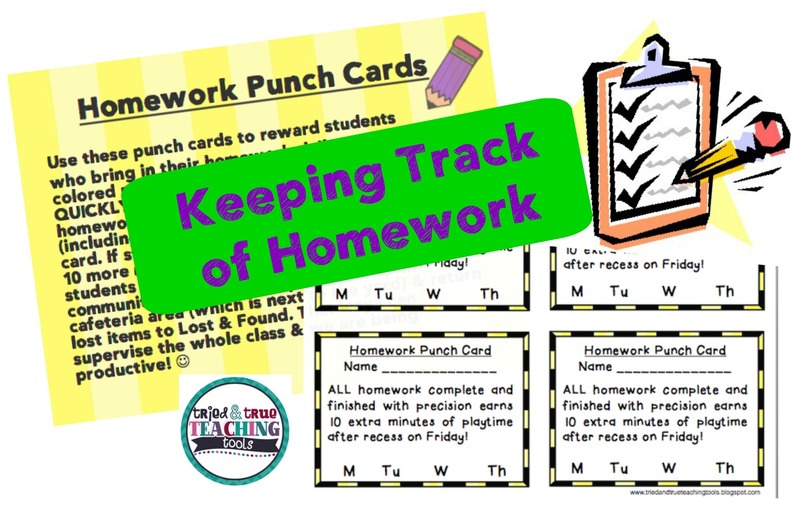 I don't know about you, but I hate keeping track of homework! And those SAME kids who NEVER seem to complete their homework take up so much classroom time. I always feel sorry for my students who DO their homework faithfully! Linking up with Joanne over at Head Over Heels for Teaching for Spark Student Motivation Saturdays! I needed something positive and easy to manage, so I decided to use a punch card system After QUICKLY checking who has brought in completed homework assignments to the best of their ability (including name & date!! ), I punch the homework day on the card. (I punch the card since this is still new for my class. Eventually I want a student from each team/table to be in charge of checking and hole punching.) 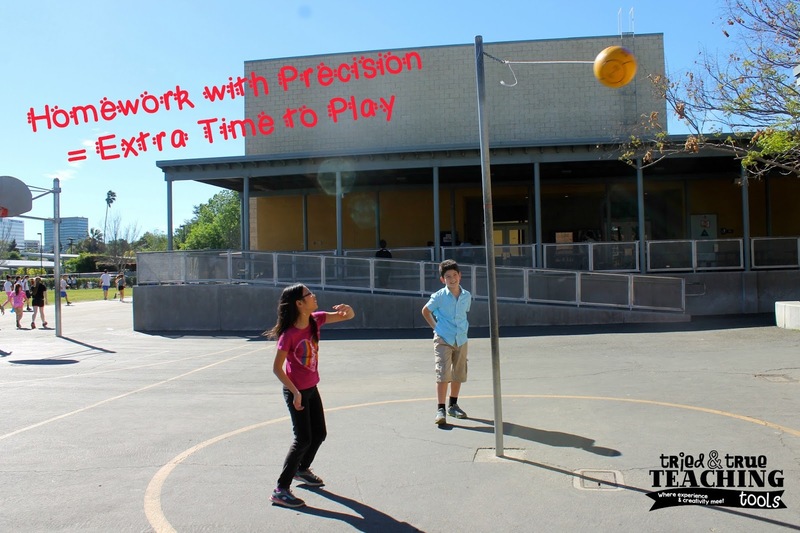 If students have 4 holes punched on Friday, they get 10 more minutes of playtime after recess. My students who did not get the 4 holes punched, do "community service" and help to clean up the cafeteria area (which is next to the yard) & return lost items to Lost & Found. This way I can supervise the whole class & we are being productive! These punch cards have worked out FANTASTICALLY!! My students really feel they are earning a BIG prize! I'm happy to reward those who fulfill their responsibilities as students! After having to clean the lunch area and yard while watching their classmates play, it is often enough to motivate students to be more careful and thorough when doing homework! You can download a copy of the punchcards here. Just print on colored paper & cut into fourths; ready to go! (I use different colors for various weeks so we don't get mixed up.) I've also learned to use my "teacher hole punch", which punches out little hearts on the homework cards, rather than the standard round hole. Not that I don't trust my kids, but I don't want any temptation for someone to grab our class hole punches on their own. . . just saying. How do you ensure students are completing their homework? Click on the button below for more ideas to motivate your kids! Love it Kathie! I use punch cards too, but I like the weekly motivator! And, I agree, those kids who always complete their assignments should be rewarded. Community service is perfect for those kids who don't earn the extra ten minutes, building great citizenship! Thanks for sharing and linking up! Hi Kathie, I love your blog! I'm currently hosting a giveaway and was hoping you would be so kind to donate a product. It's a fundraiser for Autism that will take place from April 1 -30. Please hop on over to my blog for more info.